To do so requires that we retrieve an ancient Christian humanism for our time. Only this will acknowledge and answer the general demand for a common humanity beyond religious, denominational and secular divides. 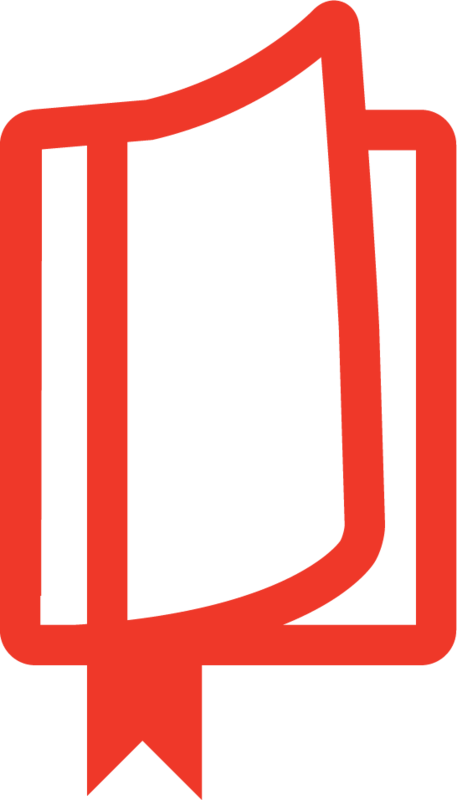 Incarnational Humanism thus points the way forward by pointing backward. Rather than resorting to theological novelty, Zimmermann draws on the rich resources found in Scripture and in its theological interpreters ranging from Irenaeus and Augustine to de Lubac and Bonhoeffer. 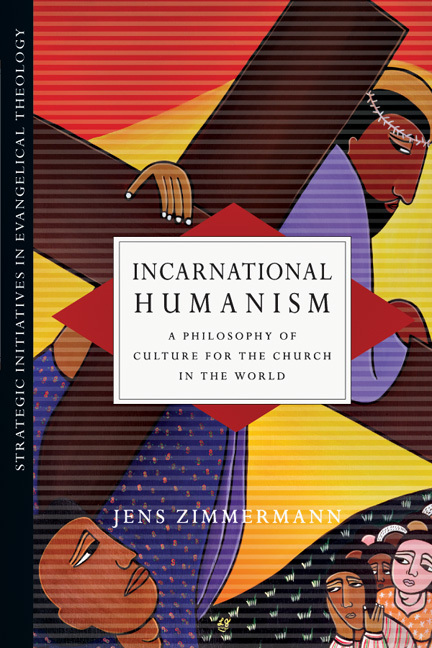 Zimmermann masterfully draws his comprehensive study together by proposing a distinctly evangelical philosophy of culture. That philosophy grasps the link between the new humanity inaugurated by Christ and all of humanity. In this way he holds up a picture of the public ministry of the church as a witness to the world's reconciliation to God. "A timely and insightful analysis of how human beings, in the course of several centuries, have come to dominate a world and yet have lost their sense of what it means to be human. Jens Zimmermann demonstrates with depth and clarity the way that our common humanity was recovered in the incarnation and is communicated to us and to the world in the eucharist. This is truly a book for our times." "Zimmermann rightly challenges the dualism that remains endemic to much evangelical spirituality. Tracing the history of incarnational humanism, he presents a call back to a sacramental, participatory view of reality. Perhaps the most hopeful element of Zimmermann's account is its concluding plea for the centrality of the Eucharist for a Christian approach to the world. This book will become assigned reading for my Theology of Culture class!" "At a time when various secular humanisms are thriving, Christians might imagine that the way forward is to make common cause with others in promoting human values without mentioning doctrines that specifically pertain to Christianity. With his characteristic erudition and eloquence, Jens Zimmermann shows that the opposite is the case: it is precisely in and through the incarnation of Jesus Christ that true humanism flourishes, because human life together requires the healing and hope that God brings by even now drawing us into his life. Without faith, hope and love, humanity founders. Zimmermann sheds profound light upon the full scope of life in Christ." "The book is an invaluable guide through the way that traditional Christian understandings of human beings and humanism have been engaged by critics through the centuries since the foundation of the Church." "This volume is an excellent mix of scholarship and confession. I recommend it for professors of Christian philosophy and systematic theology as well as historians and serious pastors." "Despite wading through deep waters of theology and philosophy, the author's nimble prose makes this book readable and suitable for both advanced undergraduates and graduate students in theology. I would suggest it for inclusion in an introductory course on historical theology, and classes on Christianity and culture or philosophy and theology." "This work will help pastors and teachers appreciate the rich heritage of Christian thought and place these insights in frameworks that twenty-first century hearers can understand." "I would certainly recommend this book as a must read for those who seek to develop a theology of culture or wish to defend the right of Christians to promote their values in the public square." The West's Cultural Heritage: Christianity or Enlightenment? 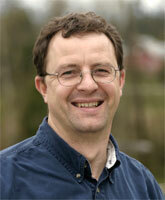 Jens Zimmermann (PhD, Johannes Gutenberg University; PhD, University of British Columbia) is Canada Research Chair of Interpretation, Religion, and Culture at Trinity Western University in Langley, British Columbia, as well as a professor of English, philosophy, and literature. He is the author of Incarnational Humanism and Recovering Theological Hermeneutics. He is also the general editor of International Bonhoeffer Interpretations and sits on the editorial board of Evangelical Review, Meaning: Journal for Existential Psychology and on the advisory board of Verge: A Journal for Arts and Christian Faith.